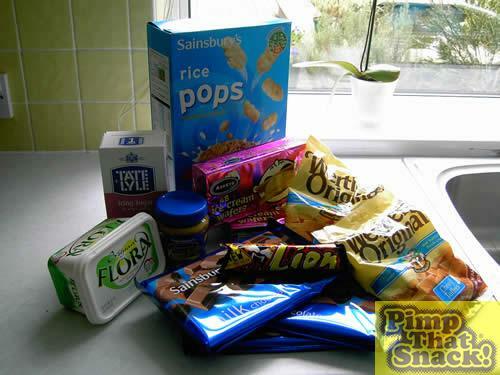 Learn more about Lion Bar (Nestlé) at Snackabase.com! Step One – Tediously unwrap each of the toffees…one by one and chuck them in a pan to melt. Step Two – Once melted, spread the melted toffee around the inside of the loaf tin, and use your hands to mould into shape. 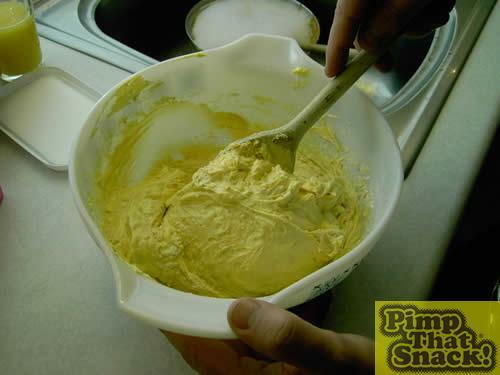 Step Three – Mix margarine, icing sugar and few dollops of the peanut butter to make the butter cream filling. 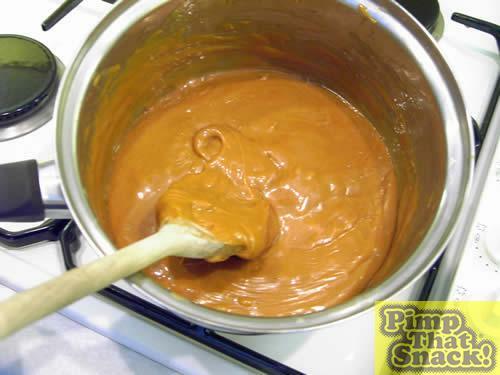 Step Four – Put a layer of wafers on the base of the toffee and then pour in half of the butter cream mixture. Place another layer of wafers on top followed by the other half of the mixture. Add a final layer of wafer.